Net weight w/ filters: 124 lbs. with H242406-99 HEPA; 151 lbs. with H2010M HEPA. Shipping weight: 141 lbs. with H242406-99 HEPA; 168 lbs. with H2010M HEPA. 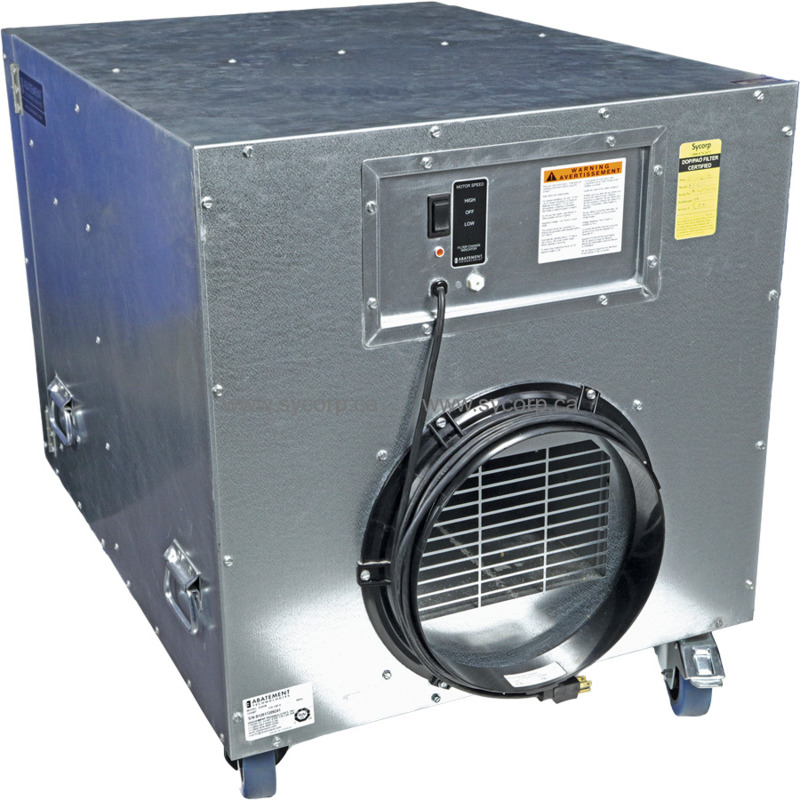 Dimensions - LxWxH: 35 3/4""L x 26""W x 30 1/4""H.
Power supply requirements: 115-120 volts AC, 60Hz, 15 amp circuit. Normal operating amps: 10 amps or less. Motor: 1 HP, 2 speed motor with thermal overload protection, auto re-set, 60 HZ, single phase. Operational sound level: 70 dBA on high speed. Reading taken at a distance of 5 feet. Cabinet material: 20 gauge galvanized steel. Transportability: 2 each removable 4", 360° swivel casters with locking feature. 2 each removable 4"", fixed position casters. First stage filter: 1"" coarse particulate polypad pre-filter (H2001). Second stage filter: 2"" pleated particulate pre-filter (H2002). 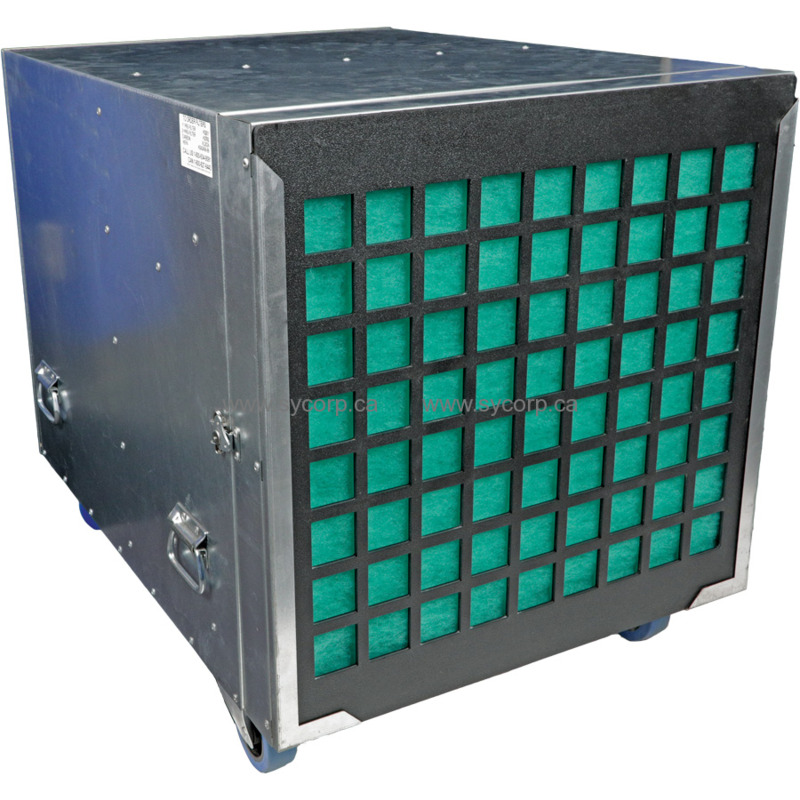 Optional second stage filter: 2"" high capacity carbon filter (VL2024). 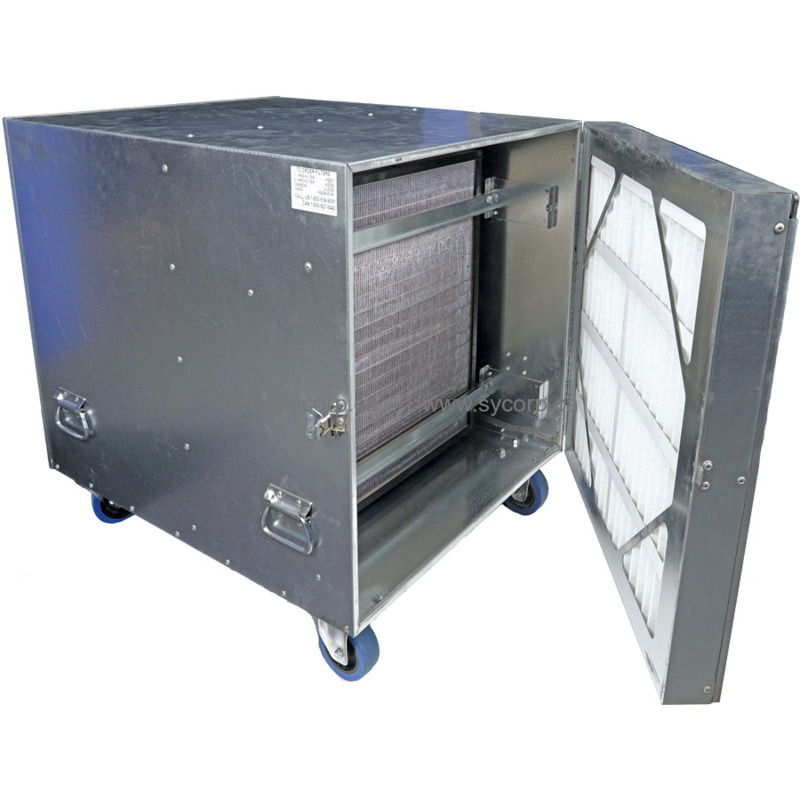 HEPA filter: Tested and certified to an efficiency of 99.97% or higher against 0.3 micron size particles (H242406-99).